“Cute!” might be your first reaction to meeting Mardi – a baby faced cartoon character clad in a furry rabbit outfit. But, cute as it is, this image decorating walls across Bangkok and beyond, carries a deeper meaning. What is the artist trying to tell us? 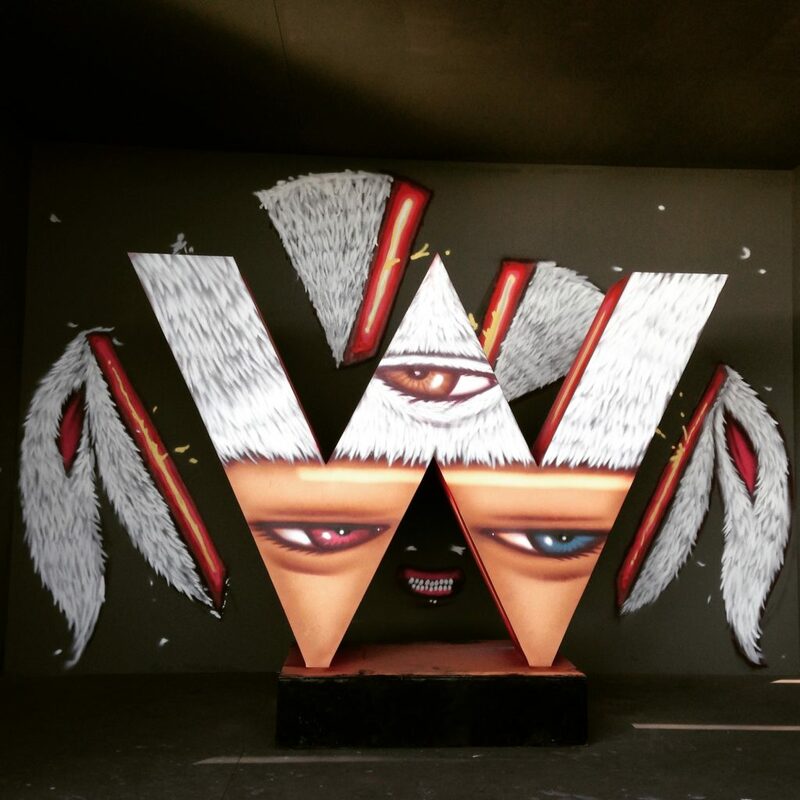 This is just one in line of question we asked Patcharapon Tangruen, better known as Alex Face, one of Thailand’s leading graffiti artist. Maciek Klimowicz: Please tell us more about your creative process? Do you first find the right spot and then paint over it or do you design a piece and then look for the right wall to paint it on? Alex Face: It depends. Sometimes I have a chance to scout the wall first, get inspired and then come back home and plan my next creation. But other times, I’m presented with a new wall that I have never seen before and I have to quickly put my mind to it and create something on the spot. What’s important is to make sure that the artwork matches its surroundings. In general though, I sketch on my drawing pad and keep ideas for later. Sometimes I use these ideas if I need inspiration or if I find a wall that matches one of them. MK: Is it a lengthy process, painting graffiti? AF: It takes me between 3 to 6 hours to complete a single graffiti painting. However, I usually can’t totally commit to painting and have other responsibilities, so sometimes it takes me as long as a week to finish a graffiti piece in Bangkok. It’s only when I travel abroad, with the sole goal of making graffiti, that I can place my entire focus on the creative process. Then I can make 2-3 pieces in a day. 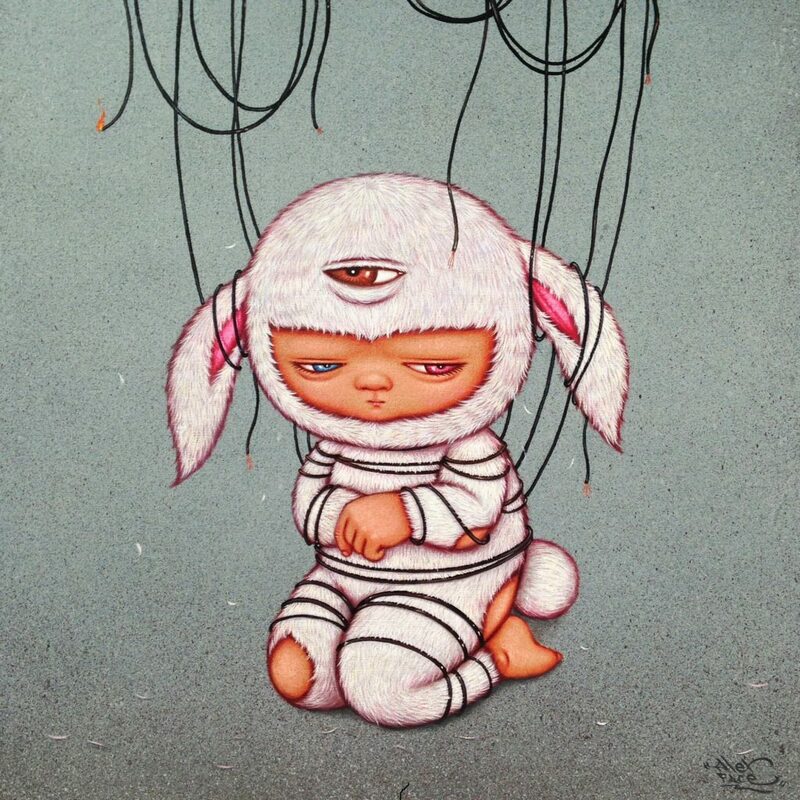 A repeating theme in your art is a frowning cartoon character in a rabbit outfit; can you introduce him to us? AF: I was inspired to create this character the day my daughter was born. I was carrying her around and she had the same kind of scowl on her face. She looked worried and doubtful. This inspired me to create a child-like character, whose face reflects any concerns one might have about a big city environment, dominated by violence and social pressure. It’s usually the children that fall victim to this violence, same as little rabbits are prey to bigger animals. MK: And what are the issues it’s so worried about? AF: Most of my work reflects on Thai society. The main goal of my work is to present images of children in today’s world, to show the challenges they face. I want to talk about what concerns me about the future, about the disturbing things that are happening already or will be happening soon. These are normally concerns of adults, but I present them through this child-like character with a worried face, because it’s the children who will have to face the future. This allows me to touch people deeper, generate intense feelings about important issues. Moreover, presenting it like this softens the message up, makes it more approachable, allowing people to be more daring and inquisitive. MK: Obedience, unity and order seem to be the words that dominate current political dialogue in Thailand and opposing opinions are frowned upon, attitudes readjusted. 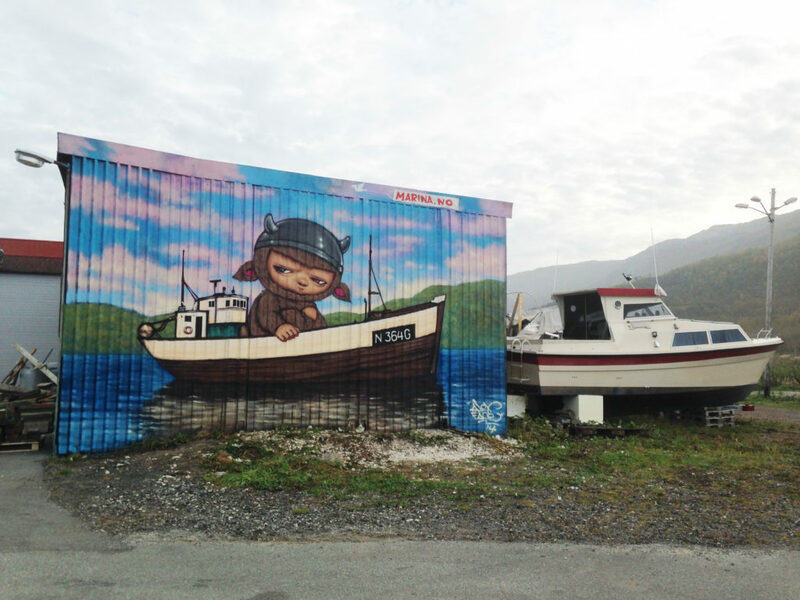 Is there a place for a rebel art, such as graffiti, in a military ruled country? AF: It’s easier to get arrested for spray-painting on government property these days, people get jailed for that. It is the first time in Thai history that the authorities are serious about this. But despite the risk of severe consequences, I think we can continue to do graffiti as usual. As far as political views go, I try to express some of my opinions, but I avoid doing it bluntly. I look for ways to make people understand my ideas without being too direct. Every time I have to check if my message is clear to avoid any confusion or creating divisions. MK: Do you see yourself ever leaving the streets and going more in the direction of studio work? AF: I can’t imagine ever leaving the street, even though I enjoy all aspects of my work, studio and gallery included. Each space feels different but I think all my work is coherent, has a common flow and a story to it. The street is a scene where I can express myself and communicate directly with the passersby. In the street I can meet and talk to people and these discussions can also inspire me to do more work in the studio. Working on the street affects my mood, gives me new ideas, and pushes me in new directions. MK: Is commercial success important to you? AF: The fact that I can earn money from my work, doing something I love, is very important to me. Art was something that I was always good at and that I always enjoyed doing. But it wasn’t easy in the beginning. 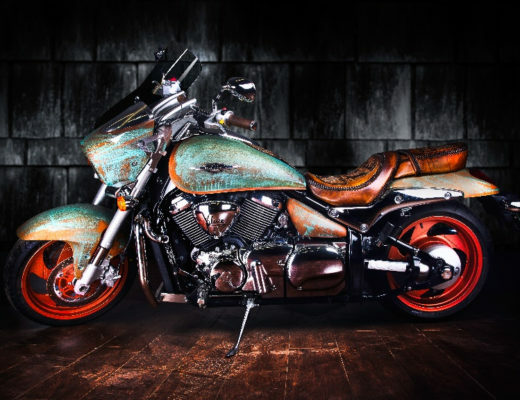 Early on I had to work on photo-shoot sets, prepare props for advertising campaigns or was contracted to paint according to customers requirements – all this to earn some money so I could sustain my life and do the art that I love doing. But as long as I had enough money to buy paint, I had hope that one day someone will notice my work and that they would want to buy it. But it still doesn’t matter if it is my own thing or some commissioned work, I’m always honest and always do my best. MK: Let’s talk about street art in general. Is street art only defined by the fact that the pieces exist in public spaces and not in a gallery or is there more to it? AF: It’s simple; if it’s not in a public space then it is not street art. The name really says it all. Even if you use the same technique, such as spray paint, inside a gallery, it is not street art anymore. But that doesn’t mean that you can’t do both, that if you paint on the street, you are not allowed to paint in a gallery. There are no rules or limits. Art is all interconnected, no matter where you do your art, the message and substance will stay the same. MK: And where do you think lies the line between vandalism and true graffiti art? AF: It is the intention of the artist that creates this distinction as well as the way the art is perceived by the public. If people decide something has value, they will perceive it as art. If graffiti destroys the property visually or damages the environment, then it’s considered vandalism. But when people perceive graffiti as art, then it is embellishing the property, not damaging it. MK: How about the graffiti scene in Bangkok? When were its beginnings and how are things looking these days? AF: The beginnings of graffiti art in Bangkok reach about 20 years back, to the times when hip-hop culture started gaining popularity. 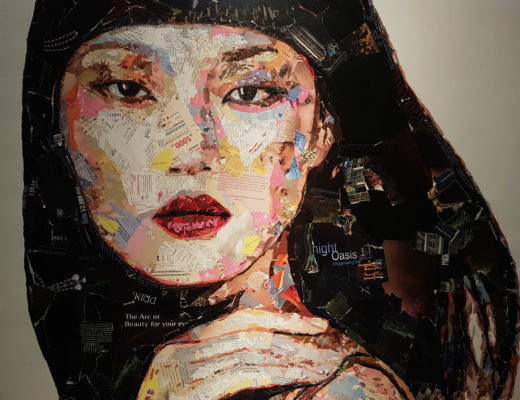 In the beginning, street art was heavily influenced by hip hop but later, as interest in this art form started growing among art students, it evolved. Today street art is a part of Thai culture. Contemporary artists develop their art by mixing graffiti and traditional Thai techniques, and create their own, distinctive street art. 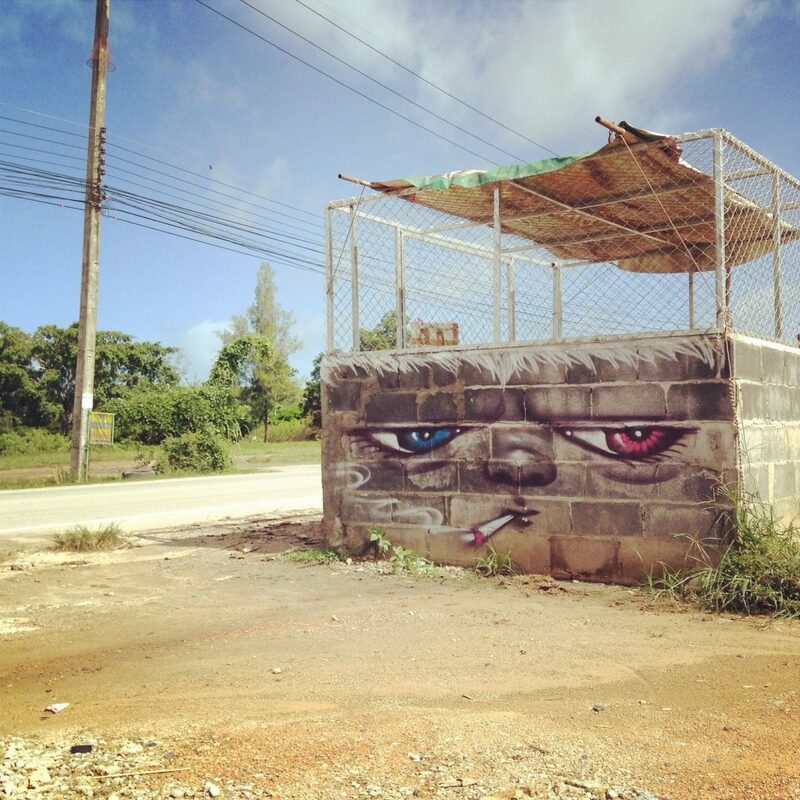 We also started discovering other great street artists from all over the world. 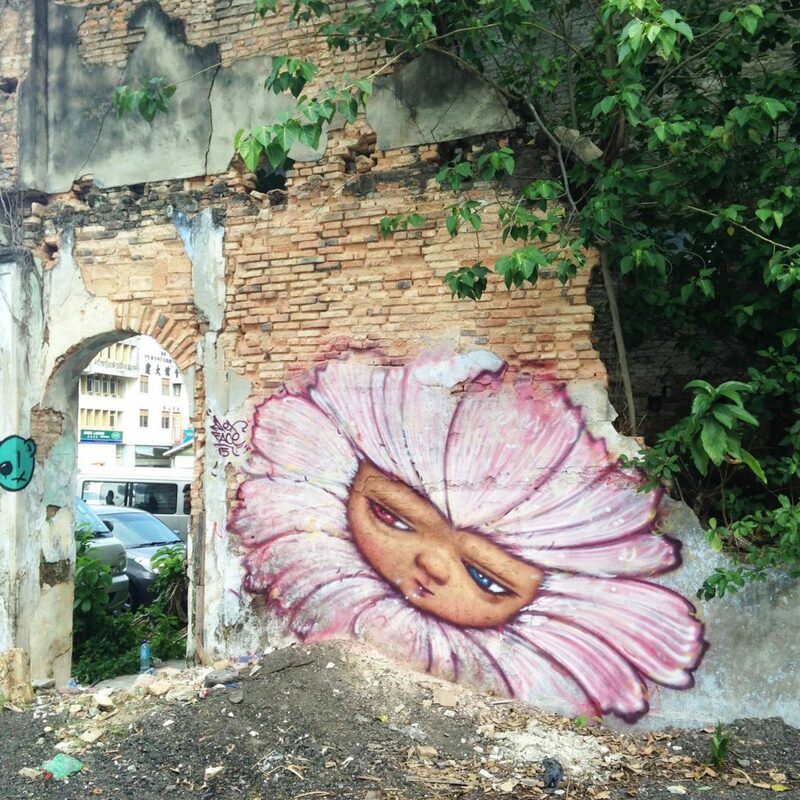 Still, I think graffiti in Thailand is a relatively new form and we’re yet to produce world famous street artists. 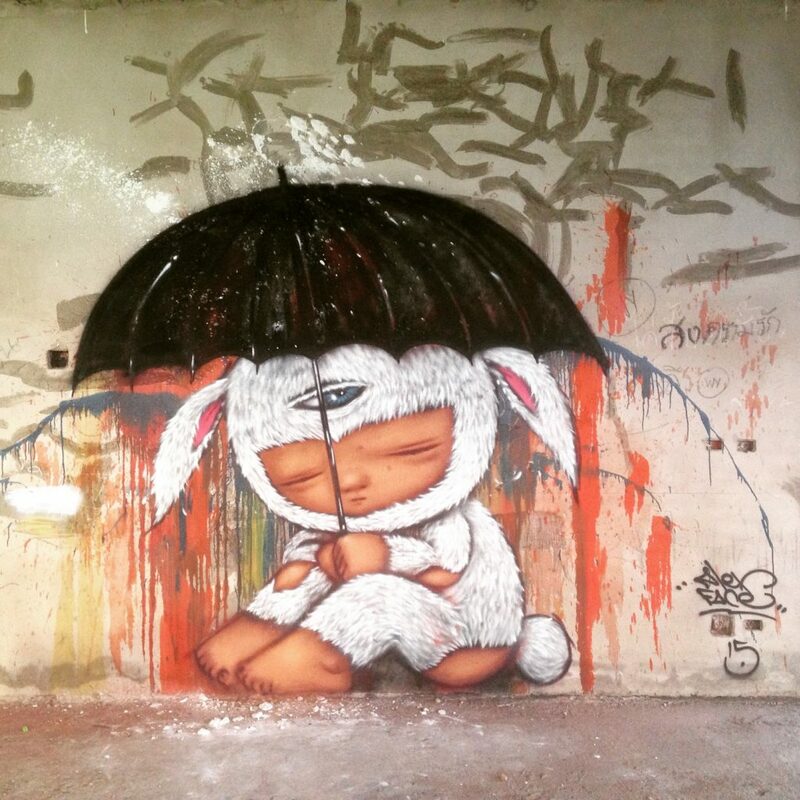 MK: Is Bangkok a good canvas for a street artist? Is the atmosphere friendly towards graffiti? AF: There are numerous abandoned buildings in Bangkok, many of them from the times of economical crisis in 1997. Banks have put their hands on many unfinished buildings and left them to rot. Today they became the scene for our art. What’s great is that in Thailand it’s possible to approach property owners and ask for permission to spray paint. Many don’t mind it. And even though I feel it is more difficult to do big artwork in Bangkok these days, I still consider this city a unique place. 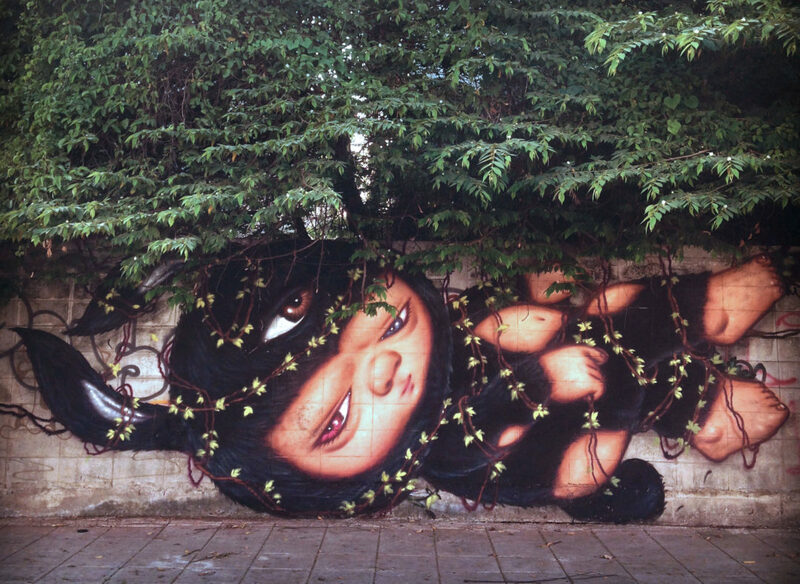 Also, there are many spaces surrounded by nature, which can help bring more life to graffiti. 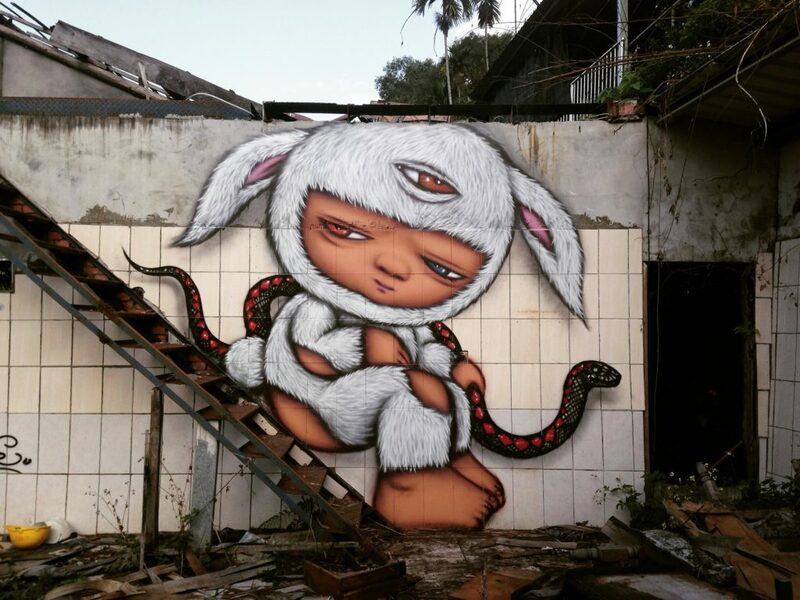 MK: What are the best places in Bangkok to spot graffiti, which part of the city would be Bangkok’s main graffiti art gallery? AF: I don’t think Bangkok has one particular place, which is good for street art watching, it’s spread across the city. Some interesting places include Siam Square and Ratchathewi, there is also some graffiti in the outskirts. I know many good places in the Phutamonthon area because that’s where I live. But Bangkok is still behind places such as Brick Lane in London, Stavanger in Norway, or Ximen in Taipei.